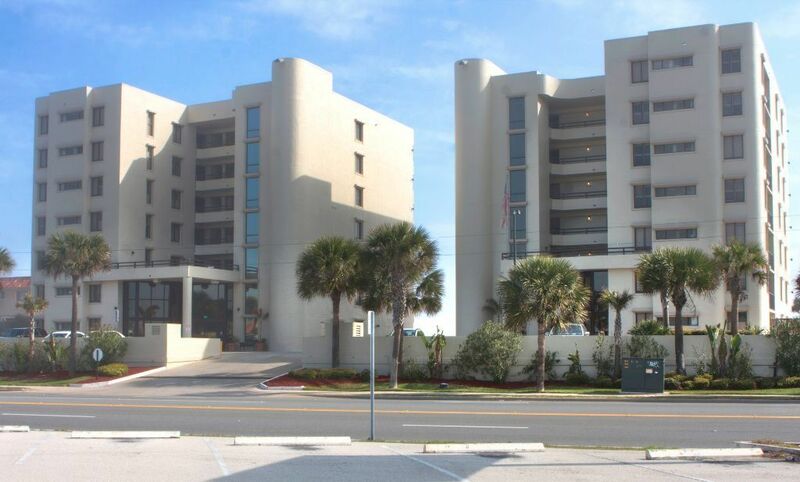 On the quiet north end of the Daytona Beach Area, Tropic Sun Towers features 1- and 2-bedroom condominiums with full amenities including a heated pool and spa, east and west sundecks and saunas. Relax on your private balcony, by the pool or on the beach. Energize yourself with a game of shuffleboard or a fitness room workout. Rent a bike and ride the sands or catch a wave on a body board to experience a true beach vacation. With ocean views from most rooms, you’re sure to savor the sensations of the rolling Atlantic while enjoying the property’s modern conveniences, including wireless Internet. Guests may choose from a 1- or 2-bedroom unit. The 1-bedroom units feature a queen-sized bed in the master bedroom. The living area includes a queen-sized pull-out sofa. The dining area provides room for up to 4 people. All suites include a balcony except the units on the first floor. The 2-bedroom units feature a master bedroom with queen-sized bed with private bathroom. The guest bedroom has a queen-sized bed and shares the second bathroom with the common areas of the unit. These units include a balcony except those units on the first floor. These units occupy 6. All units include a kitchen with full-sized refrigerator, stovetop oven, microwave, dishwasher, flatware, everyday china, cooking utensils and dining table. The features of Tropic Sun Towers are designed to provide all the comforts of home combined with an incredible beachfront location, fantastic amenities and unrivaled service. *We apologize: Due to space, Tropic Sun Towers does not allow parking for boats, recreational vehicles or trailers. Thank you.